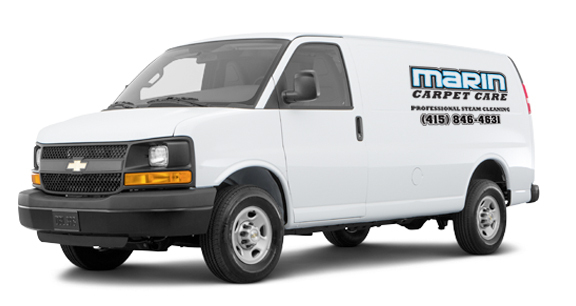 Marin Carpet Care has been caring for thousands of Marin County’s residents’ fine carpets and rugs since 1999. Whether you have a wool or synthetic floor covering, you will receive a level of expertise second to none. Marin Carpet Care is one of the most respected professional carpet cleaning businesses in Marin County. Serving San Rafael, Novato, San Anselmo, Larkspur, Corte Madera, Fairfax, Mill Valley, Tiburon, Belvedere, Sausalito…and more. We pride ourselves on being punctual and we consistently provide excellent service for our customers. We continually attend educational courses for our certifications and study trade journals to stay up to date on all the latest advancements in our field. We use only the most advanced systems and cleaning products on the market today. The procedures we use do not leave excess moisture in the carpet or leave a sticky residue behind. Anything that is not a permanent stain can be removed with our cutting edge procedures. (Please note that some stains can be permanant).